Current technology allows us to capture extremely high quality images with a fraction of the exposure time. The resulting diagnostic films enable our doctor to make rapid, accurate diagnoses, limit the amount of radiation exposure for your pet and our team, and decrease the amount of time of any sedation or anesthesia required to complete the imaging study. 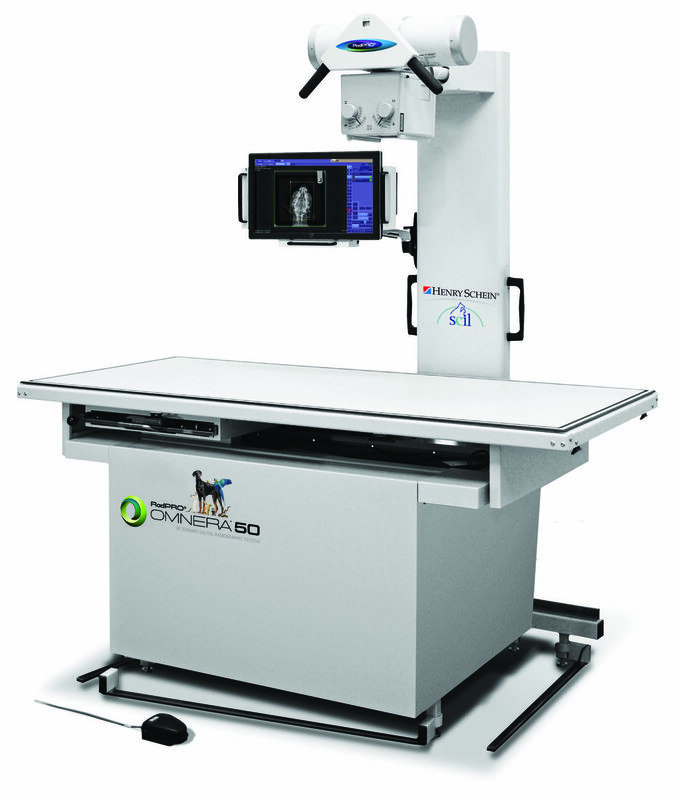 In addition, we have the capability to send the images directly to a board certified veterinary radiologist for immediate review. In cases where the diagnosis is uncertain, this tool allows Urban Vet to be as certain as possible that there is nothing missed in your pet's diagnosis and recommended treatments. This modality is used routinely to examine the chest, abdomen, spine, skull or extremities of all species. Canon's technology produces exceptional DR images and incorporates large-area detection with high sensitivity, thus lowering radiation exposure and limiting the time it takes to capture diagnostic images. Dr. Torok will discuss this diagnostic in detail should it be needed for your pet. Software and hardware is specifically designed to facilitate highly specific images for diagnoses of dental fractures, abscesses, oral cancer and feline oral resorptive lesions. Wall mounted digital dental generator is directly adjacent the procedure table to minimize radiation exposure and eliminate the need to move the patient to obtain images.